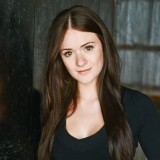 Chandler Loryn has been a working actress in the Toronto and Los Angeles area since landing her first agent in 2011. She has booked roles ranging from leads in several Indie feature films, to TV roles on major television networks, as well as recurring roles on award winning web series. In 2015/16, she spent a year in L.A studying and filming under James Franco's Studio 4 master class, booking her first American Lead role in a feature funded by his film company Rabbit Bandini Productions. Since being back in Toronto she has expanded to a second career in casting. After starting out as a casual audition reader for multiple prominent Casting Directors in the city, Chandler has quickly become a sought after regular on the audition reader scene, and on many sets as a cast stand-in during table reads and rehearsals. Most recently she has begun working alongside a well respected Toronto Casting Director in the capacity of assistant, going through submissions, self tapes and running live audition sessions. She absolutely adores both acting and all aspects of the casting room, and feels extremely fortunate to have developed both skillsets as they compliment each other. She would love to rehearse, read or coach you to achieve your best audition possible. In truth, she will be just as excited to get her hands on the material as you are!